Broadway In Chicago and the RENT 20th Anniversary Tour are excited to announce A SEASON OF LOVE BENEFIT CONCERT featuring cast members from the national tour of RENT playing Chicago’s Oriental Theatre for a limited engagement May 9-14. This live cabaret-style event will take place on Monday, May 8, 2017 from 7-9PM at Sidetrack Video Bar (3349 N. Halsted St., Chicago). Cast members from RENT will perform a selection of their favorite songs, and the concert will be followed by a special edition of Sidetrack’s Musical Monday featuring songs from the Pulitzer Prize and Tony Award-winning musical, as well as other show-tune videos until 2AM. All donations and money raised go to The Legacy Project Chicago, the world’s largest and only outdoor LGBT museum located in Chicago’s own Boystown neighborhood. To learn more about The Legacy Project Chicago, visit www.legacyprojectchicago.org. There is a $20 suggested donation for A SEASON OF LOVE BENEFIT CONCERT at the door. To learn more about Sidetrack Video Bar, visit www.sidetrackchicago.com. 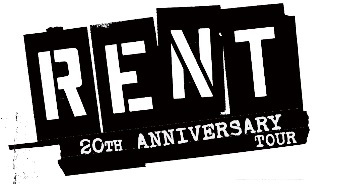 Individual tickets for RENT at the Oriental Theatre are on-sale now. Group tickets for 10 or more are available by calling Broadway In Chicago Group Sales at (312) 977-1710. Tickets are available at all Broadway In Chicago Box Offices (24 W. Randolph St., 151 W. Randolph St., 18 W. Monroe St. and 175 E. Chestnut), the Broadway In Chicago Ticket Line at (800) 775-2000, all Ticketmaster retail locations and online at www.BroadwayInChicago.com.